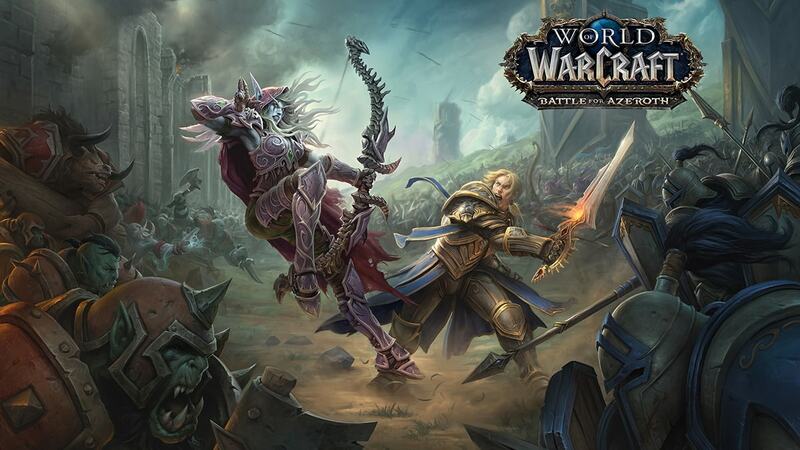 'World of Warcraft: Battle For Azeroth' beta has officially begun – AiPT! WoW’s latest expansion hits the next phase of development. Players eager to check out Battle For Azeroth‘s new features have been able to do so for a few months now, but that was technically the pre-beta alpha build of the game. With Battle For Azeroth‘s August 14 release date creeping ever closer, it’s time for Blizzard to kick the development in high gear and get more people testing the latest World of Warcraft expansion. The Battle for Azeroth Beta has begun! Join us live on Twitch.tv/Warcraft Thursday, April 26, at 11:00 a.m. PDT, as we sit down with Game Director Ion Hazzikostas for our next live developer Q&A where he’ll be answering your World of Warcraft: Battle for Azeroth Beta questions. As a reminder, please keep your questions short (40 words or less) so that we can get to as many questions as possible. We look forward to you joining us live on Tuesday! Alpha characters have been wiped and players will have to start fresh with new beta characters. Character copies are coming soon. Presumably, with the game going into beta, there should be more invites going out soon — and indeed, Blizzard promises “a lot” more invites are coming. If you didn’t receive an invite for the alpha, keep your eyes peeled as Battle For Azeroth moves into its next stage of development.